You may be able to tell that I have a bit of a thing for autumn clothing - is there anything greater than jewel tone knits, dark wash mottled jeans and a good old pair of brogues? I have found that the high street have been spot on recently and have everything that I love in stock which has made me rather gleeful. And, I must admit, after watching the new series of Downton recently I have fallen in love with what Mary wears and it has encouraged me to extend my collection of clothing in colours such as teal, burgundy, emerald and navy which I think look so sophisticated and beautiful for autumn as well as trying out new textures. So, I have put together the things I have seen around this month which I absolutely love. Also, I am sorry I haven't been the best blogger recently - I have an awful lot of college work to get done which has monopolized, quite rightly, much of my time. 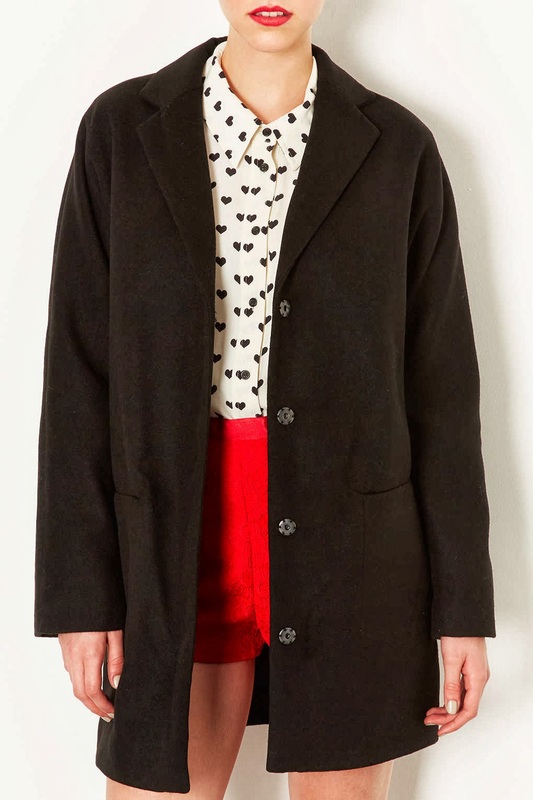 I absolutely adore this coat from Topshop as it is so classic but the 'boyfriend' shape is on trend and who doesn't love a bit of masculine tailoring? Also this coat is surprisingly affordable and also comes in blue and plum but I thought black would be most wearable. The only trouble is that I had a look at one in the shop today and it was covered in hairs so I guess if it easily picks up hairs then it is not best to be living in a home with two dogs. 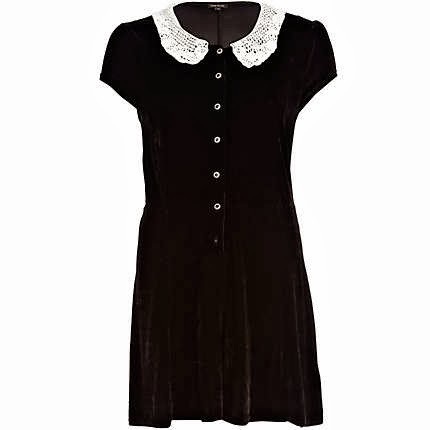 This gorgeous velvet playsuit just encapsulates all that I love in clothing. It is vintage, it has cute buttons, it clinches in at the waist and has a peter pan collar. I am sold. I think I saw this in a post by an amazing blogger, whose blog name I have forgotten, who went to an event wearing this and I commenting asking where she got it but alas I have found it! I love this jumper an awful lot! 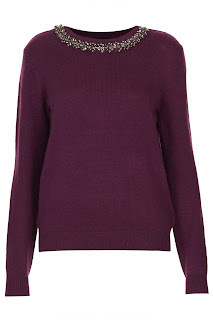 The colour is beautiful and what's more is that the neckline looks effortlessly chic so you could just throw it on with some jeans and still look fashionable - ever a plus when you have to wake up at 6:30am and head out into the rain. I think I may have included this in a previous wishlist but it was to beautiful to miss out. I love the embroidered detail and the red with the black. It is just perfect and long sleeved which is a major plus for me as I am not so keen on getting my arms out. 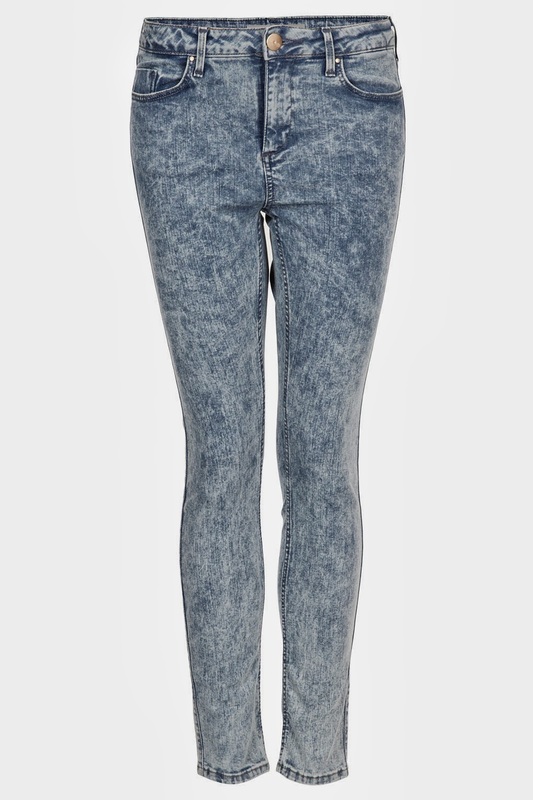 These are just the perfect mottled skinny jeans, in my opinion. 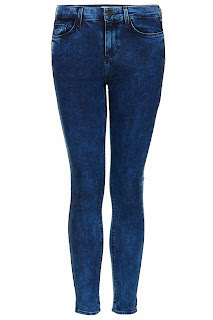 They would look gorgeous with a grey knit and a pair of light tan brogues. And they on sale! 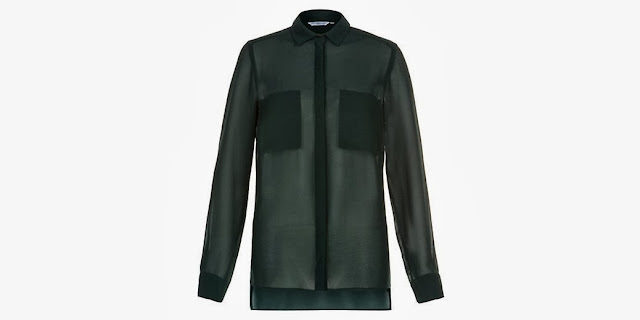 When I saw this shirt in New Look I really liked it and the colour looks so much better in real life but the shape is lovely too and would look great tucked into high waisted jeans or a skirt. 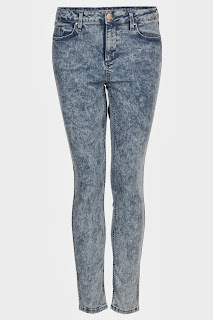 I love the darker colour of these mottled skinny jeans as I tend to wear quite a lot of darker clothing I think these would look better with it and Topshop jeans are always so soft and comfy. 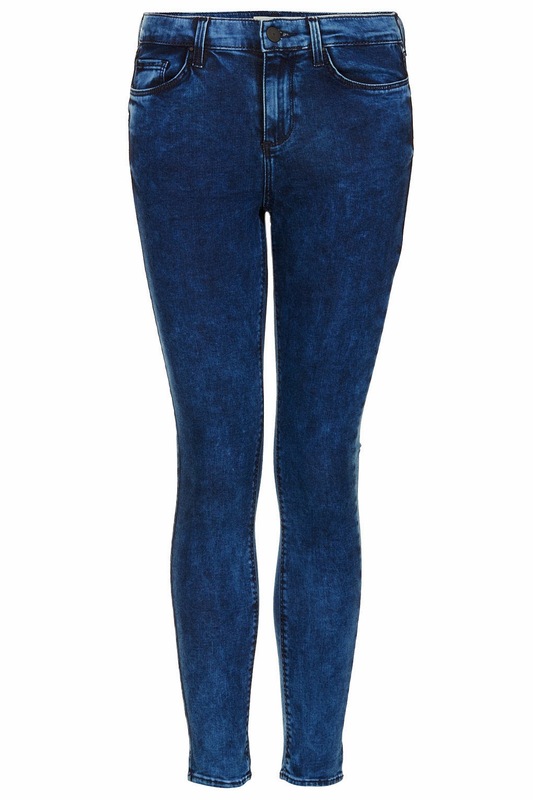 I hope you enjoyed this post and be sure to let me know which items you preferred. Love the burgundy jumper, the embellishment around the neck is so nice! That velvet play suit and black and dress are so so so nice!!! 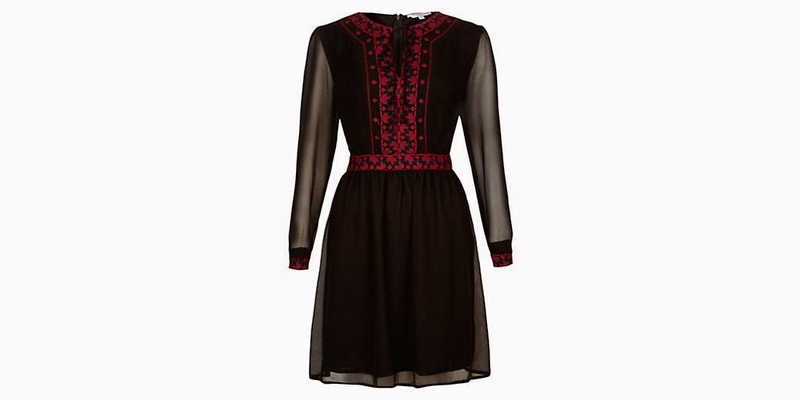 I love the boho dress with the embroidery, it is so cute! Lovely items, I'd give them all a nice home if I could!